20 Comments	This post may contain affiliate links. 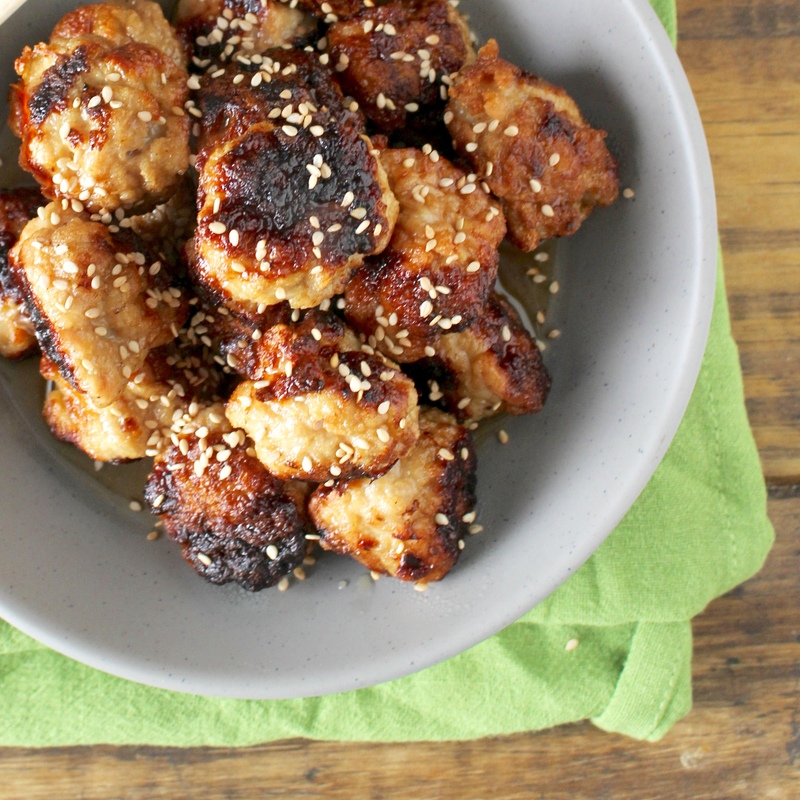 This Honey Sesame Chicken is easy and so flavorful! A combination of broth, honey, ginger, and fish sauce come together to make a perfect takeout meal. I got a super fun book recently and I’m so glad I get to share a recipe from it with you guys! 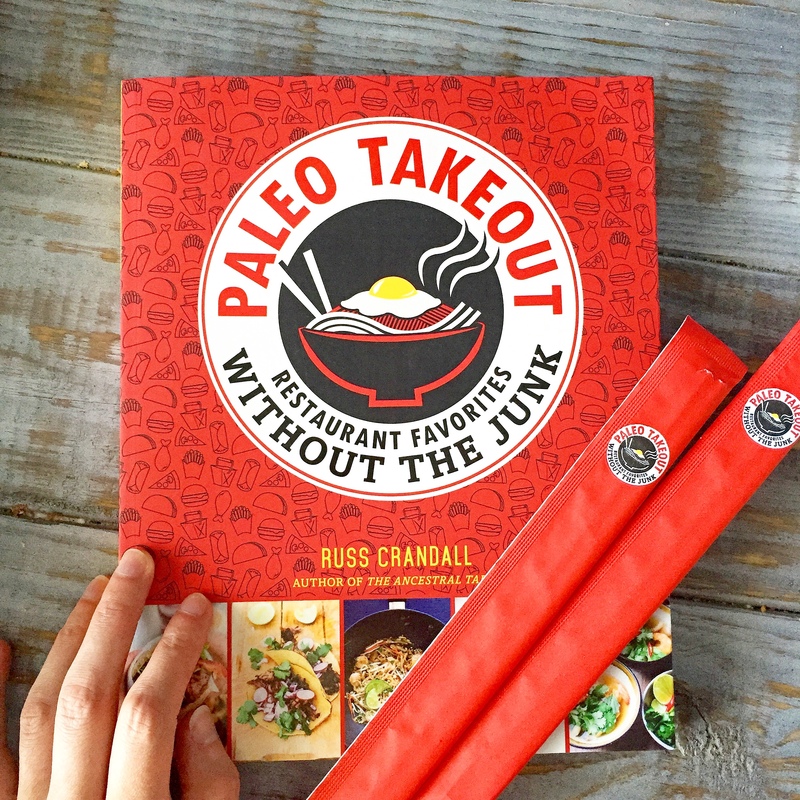 Paleo Takeout: Restaurant Favorites Without The Junk is packed full of delicious recipes that are made-over to be gluten and grain free. The author of this book, Russ from The Domestic Man, spent years traveling through Asia so he really knows the authentic style. He did his research and even consulted with restaurants to make sure his techniques were correct- how cool is that?! The book is so well written and photographed. There is a whole picture index at the back so you can search recipes that way. There is a handy little description of each recipe and there are tips on variations that can be made or helpful hints to make the recipe easier. It is divided into chapter by cuisine- Chinese Kitchen, Japanese and Korean Favorites, Southeast Asia and Beyond, American Classics, then a whole chapter on sauces, condiments, and sides. It even shows you when to cook what, to get dinner on the table in an hour. I just love all the details of this book- it is so helpful! I must admit- I was an extremely picky eater growing up and the only takeout food I ate was pizza (which is in this book). But my husband has introduced me to so many more types of food and I have eaten my fair share of asian food. This book covers everything from the americanized dishes we are all familiar with, to the more authentic dishes that I need to try! Also, don’t let a name scare you! I’m not familiar with some of the dishes and the names sound a little intimidating, but he does a great job explaining them in the caption at the top of the page. A couple examples are Gyudon- a rice bowl with thinly sliced beef that is cooked with garlic, ginger, and honey (Yum!!) and Bakso- a soup with beef meatballs, carrots, and cabbage. Not so intimidating now! Now to these delicious meatballs!! My husband had a hard time picking out what recipe to try first. I think he changed his mind at least 3 times! 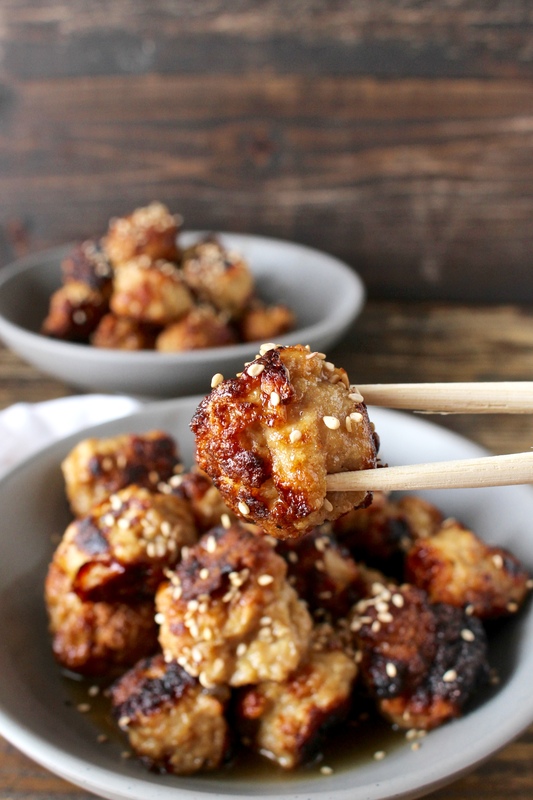 We settled on Honey Sesame Chicken because it sounded amazing and easy- two things I love. It totally delivered too! I feel like meatballs are viewed as hard and time consuming and that is totally not the case for these. They came together super quick and nothing was hard about it. I used a small cookie scoop to evenly portion the meatballs and pan fried them in a cast iron skillet which browned them nicely. The consistency of this meatball is unlike an american meatball. It is more spongey and is very juicy. 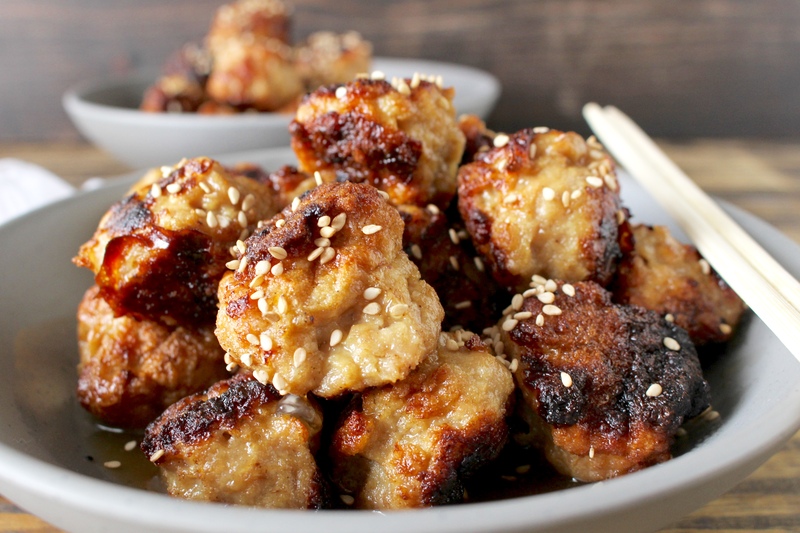 The sauce is super easy to make and has just the right amount of sweetness added that compliments the savoriness of the meatballs. I love how quick everything came together and how delicious it was. So full of flavor and completely satisfying. I truly believe this cookbook is one you need to have in your collection. 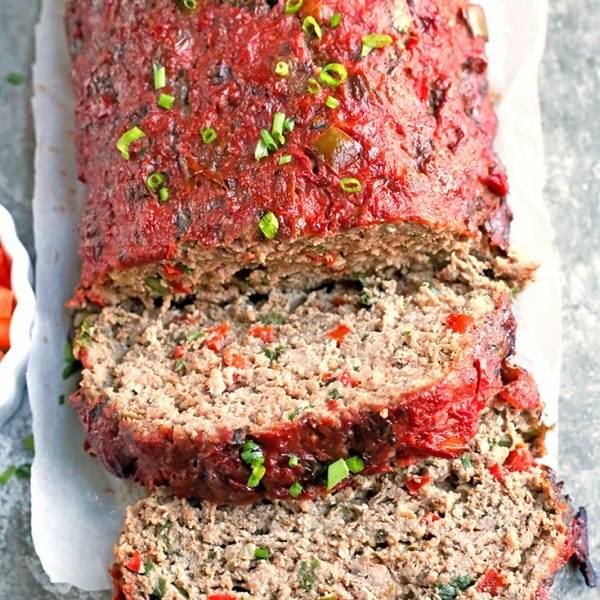 Whether you’re Paleo or not, these recipes are fantastic! This is such a unique book with recipes I’ve never seen in other Paleo cookbooks. I love having it as a resource and I plan to do lots more cooking from it. Here is a link to buy the book: Paleo Takeout and here is a link the the authors site: The Domestic Man. 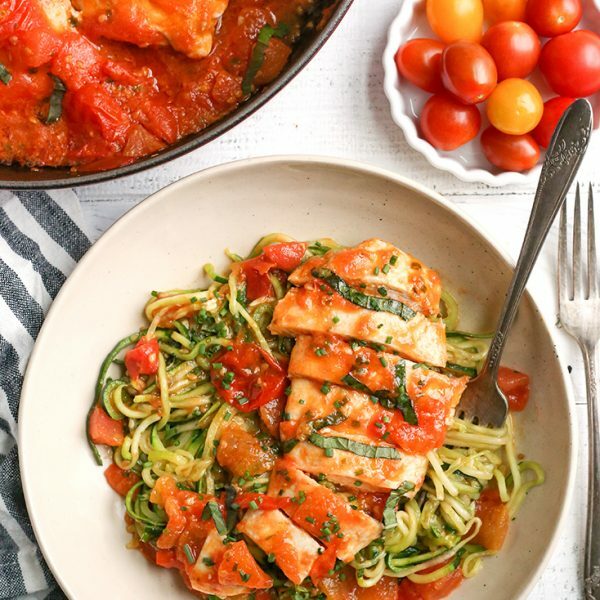 He has so many delicious recipes on his site as well! Check it out! In a saucepan, combine broth, honey, wine, tamari, salt and pepper. Bring to a boil over medium heat. 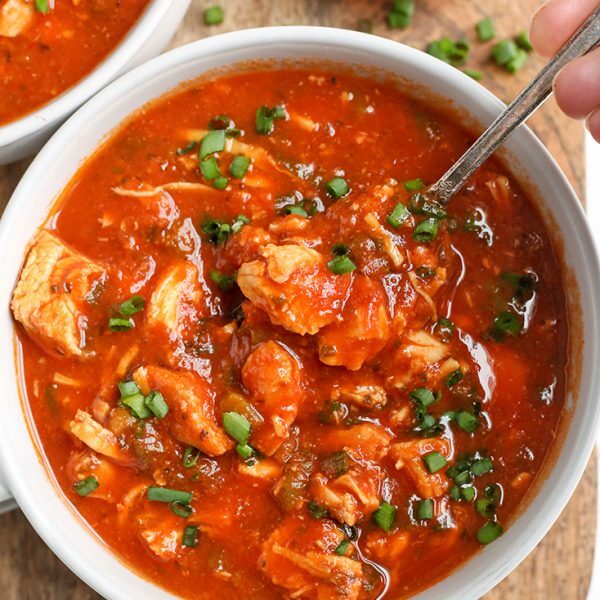 Reduce the heat to low and simmer gently allowing the flavors to marry while you prepare the chicken. You can either pan-fry the meatballs in batches over medium heat or grill them over direct medium-high heat. If pan frying, put the cooked chicken in a warm (200°) oven while you make the other batches. 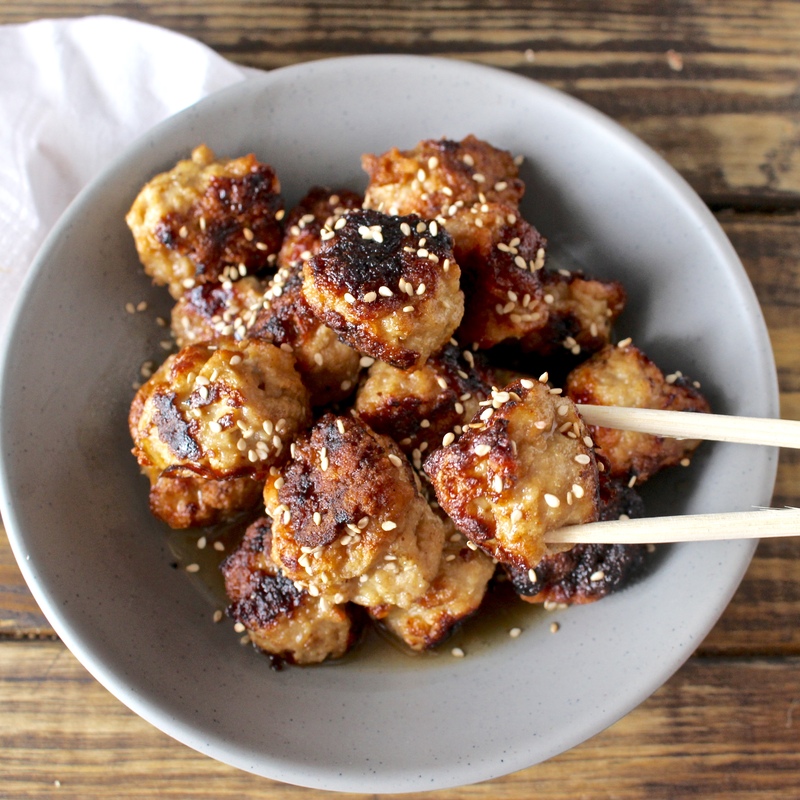 Once the chicken meatballs are cooked, stir together the arrowroot starch and cold water to create a slurry, then stir half of the slurry into the sauce. Increase the heat to medium, bring to a simmer, and cook until thickened, about 2 minutes, adding more slurry if needed. Taste and add salt if needed, then stir in half of the sesame seeds. 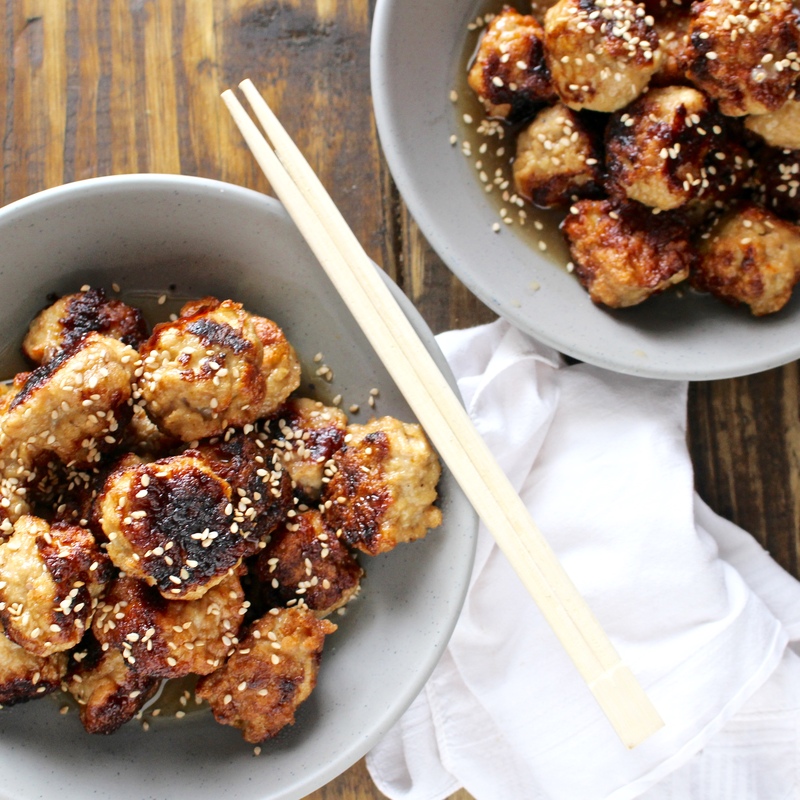 In a mixing bowl, toss the chicken meatballs with the sauce and transfer to a serving dish. Sprinkle the remaining sesame seeds over the chicken and serve. 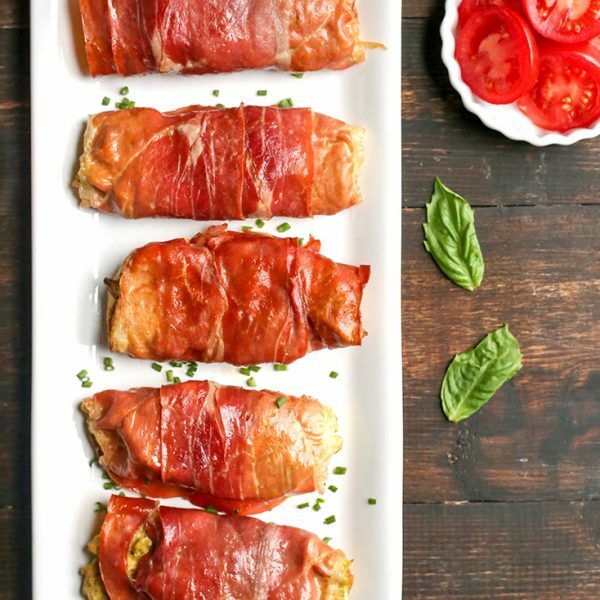 This recipe can also be made with egg-battered chicken breast pieces.